When scientists and Wine Experts unit, you get the optimal solution to age your wine in the perfect conditions. Our research in the field of cellars and wine delivers products of excellence whose performance and design are distinguished by their precision and elegance. The Wine Square has invested massively in research and development to reproduce, with the help of various technologies, optimal aging conditions for your wine.We aim at delivering the same maturing condition you would find in a European Chateau. 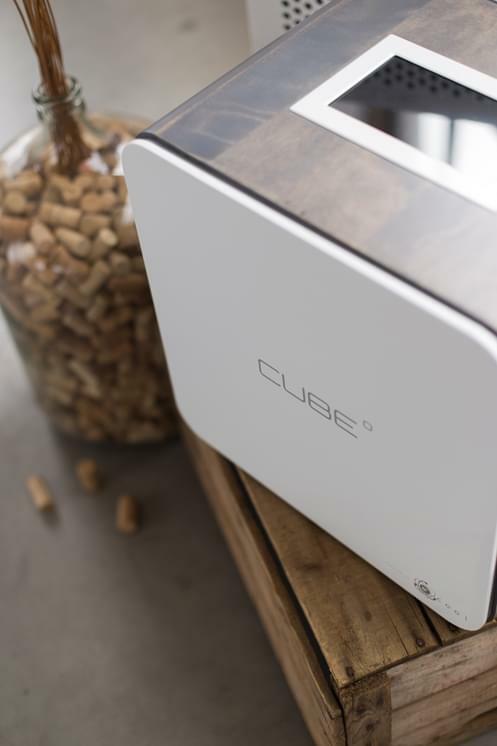 Thanks to its exclusive technologies, The Wine Square began its market entry in North America with only one thing in mind: revolutionize the way wine is stored. Our exclusive offer is based on the most innovative cellar cooling technology and the only high-performance glass shell specifically designed for the wine cellar. Our company is constantly searching for ways to innovate and is not afraid to push the boundaries in order to reach our goal of becoming the sole reference for wine aging. We implement each projects with rigour and professionalism while benefiting from Corflex’s expertise. This important partner supports us with their skills in manufacturing and marketing architectural products. With facilities in Trois-Rivières and Delson, The Wine Square manufactures, advises, installs and ensures turnkey wine cellars for its customers. During the entire selling process our expertise allows us to offer a framework that equals our outstanding products. The Wine Square focuses its efforts towards offering wine rooms that are both aesthetic and efficient. Our mission is to provide to wine enthusiasts aging spaces that will ensure that the value and integrity of the wine is maintained.